I always feel pulled in two different directions in February. One on hand, the Fun Mom in me wants to live large. 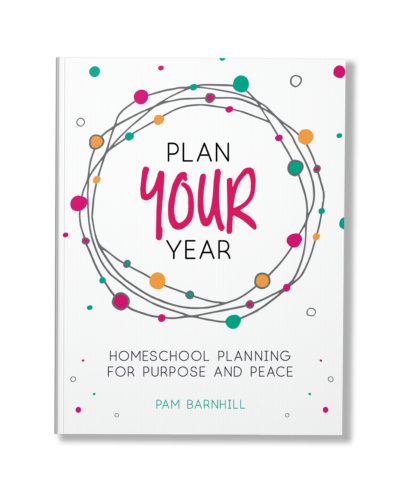 She wants to shake up the daily routine, toss out the boring old schoolbooks, and spend February setting the kids’ enthusiasm afire with fascinating hands-on projects from Pinterest. Fortunately, you can be the Fun Mom and still make progress in the math book with these eight ways to shake up your math routine. Word problems can be very dull. Yawn. But word problems come to life when they’re about people your child actually knows. Just cross out the names on the worksheets and pencil in your friends and family members. It’s even more fun if you put people from different contexts into the same word problem. Why not have your child’s best friend split the pizza with your grumpy next-door neighbor? 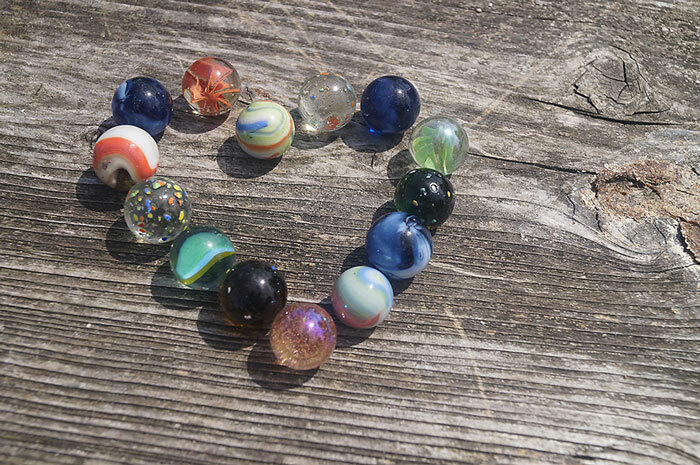 Or have Aunt Mary divide the marbles with your family pet? Just a little silliness can make word problems a lot more fun—and help prevent word problem panic, too. Literally. Tear up the worksheet (or cut it with scissors if you’re civilized like that) so that each problem is on its own piece of paper. Toss the pieces in a bowl. Then, have your child pull out one slip of paper at a time and solve the problem on it. This keeps long worksheets from feeling overwhelming. And, if your child likes puzzles, he can take all the slips and try to put them together at the end. Some kids hate time pressure, but others thrive on it. If your child tends to dawdle through drill pages, set a timer and challenge your child to finish the page before the timer goes off. To give my kids a feeling of success, I try to set the timer for at least a minute longer than I think they’ll need. Then, if they beat the clock, I write their time at the top of the page to celebrate. (Ok, it’s not a very exciting celebration, but it seems to make them happy!) 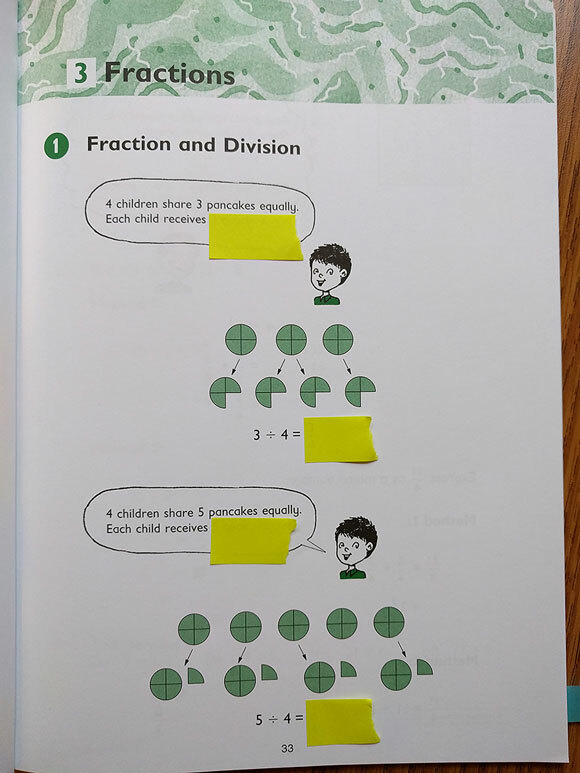 This works best for pages of simple calculations (like addition facts) that can be completed in less than 5 minutes—not complex problems where you want to encourage your kids to slow down and think. With so little time to run around outside in winter, we all get a little stir crazy. Movement makes oral drill more fun, and gives your kids a chance to get some energy out, too. 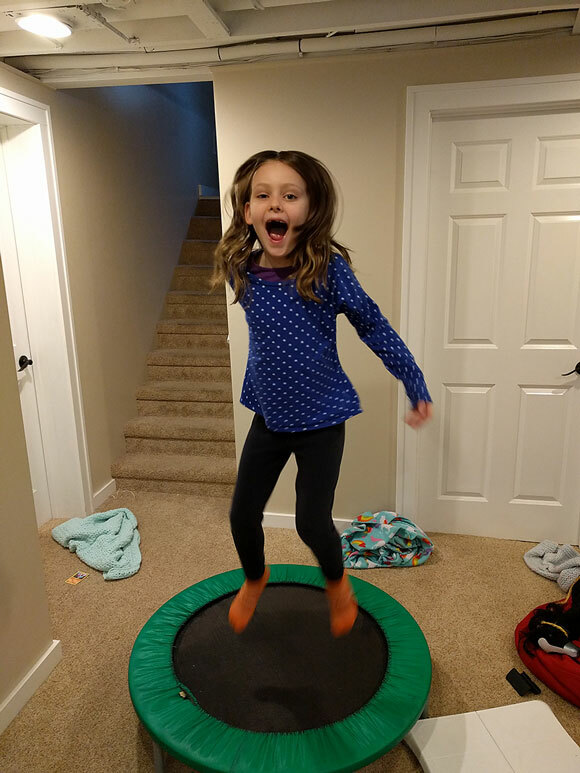 Have them bounce on a mini trampoline while you call out addition facts or have them do jumping jacks in rhythm to the multiplication table. Anything that can be recited rhythmically is especially good for this. Can you find something that’s about 30 inches long? Which container will hold the most water? How much do you think this stack of books will weigh? If your child (or you!) needs a break from worksheets, try making the math content into a game instead. Games not only make it fun to practice math, but they also allow you to monitor your child’s progress and correct any mistakes immediately. As a starting place, check out this list of math games from my website. The classic card game War can also be adapted to practice everything from simple addition to fractions. Another way to add some fun to your math time is to read related math picture books. There are some wonderful lists of living math books online, but I’ve found it’s often easiest to simply type the subject I’m looking for into my library’s online catalog and see what they have. Be warned—there are a lot of boring math picture books out there! If a book feels too much like a textbook, it’s probably not worth reading. Many of my favorites are from the MathStart series, because they combine solid math content with an actual plot. Changing up your math routine doesn’t have to mean burning all the workbooks or tap-dancing your way through fractions. With just these few tweaks, you can be your Fun Mom self in February—and pat your Responsible Mom self on the back at the same time. 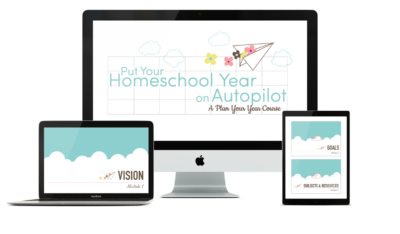 Kate blogs at Kate's Homeschool Math Help, where she's on a mission to help parents raise kids who are capable and confident at math (and have some fun in the process, too!) 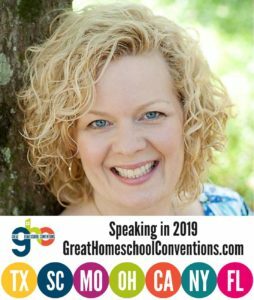 A homeschooling mom of two, she is the author of Preschool Math at Home, Addition Facts That Stick, and Subtraction Facts that Stick. She also teaches courses for parents at The Well-Trained Mind Academy. One question: I love the way dividing fractions is explained in your “Add some suspense” section above. What book is that? Thank you, Kate! I will check out your full review. I REALLY love and appreciate these great ideas! I do have a question though. We use Saxon for math which, although worksheet heavy, is great for me because I’m horrid at math. Saxon provides the script I need to make it understandable for me AND my boys. BUT, we subscribe to a more Charlotte Mason/short lesson philosophy which works so good for my super active boys. Yet Saxon is agonizingly looooong…even when we’re going at a good clip AND cutting out the review all but one day of the week. I feel like our afternoons are spent ENTIRELY on math and I hate that. At this rate, it will SUCH a struggle to finish my oldest sons book by May as we’re only HALF way through. Ugh. Any suggestions?? ? Hi Evita, Saxon is a classic text that’s worked well for many homeschoolers, but it’s not my favorite for all the reasons you mention. Math in the elementary years definitely doesn’t need to take hours. If you like a heavily-scripted teacher’s manual with hands-on, active lessons, you might want to take a look at RightStart Math. I have a full review on my blog (http://kateshomeschoolmath.com/rightstart-math-review/) as well as reviews of other programs if you’re thinking about making a switch. I feel your Saxon pain for all the same reasons!! It really works and is so gentle, but loooong. They should half each book bc we NEVER finish even during our really consistent years. I’m hesitant to jump ship because it is working, but it makes me want to cry. Fear keeps me under the Saxon spell. ? Thank you for the quick response! Hope you don’t mind, but I have one more question. Do you think RightStart would be a good match for my current 3rd grader as well as my 1st grader? Both of them did Saxon last year, too. At this point, I have to sit with both of them individually since Saxon is very dependent on the teacher (which is fine). But we literally spend about 45 – 1 hr with my 1st grader and 1+ hours with my 3rd grader every single day. I guess I’m just wondering if that’s normal for most any math curriculum since I did read something to that effect on your review of MathStart just now. Also, if I were to switch curriculums, do you think it wise to do so at this point in the year? Or should I just finish out Saxon to the best of my ability and start fresh in the Fall? Thanks! And sorry…I guess I had more than one more question, didn’t I? Following…. My 6th grader does it on her own well enough for me, but I am working with my 4th and 2nd grader and my Kindergartener on the days he can’t be put off. #badmom Math eats up our day and makes me loathe it all the more. The other problem of switching is not knowing exactly what level to begin with in another program? Yes, it can be hard to know what level to switch to in a different program. Most have placement tests that will give you a good starting place, but usually you still have to make a judgment call. If your child seems to be in-between levels, I recommend you go for the easier level–but then give yourself permission to skip anything that your child has already mastered. You might not use the whole book, but you’ll ensure that your child isn’t missing any essential foundations for the next level. 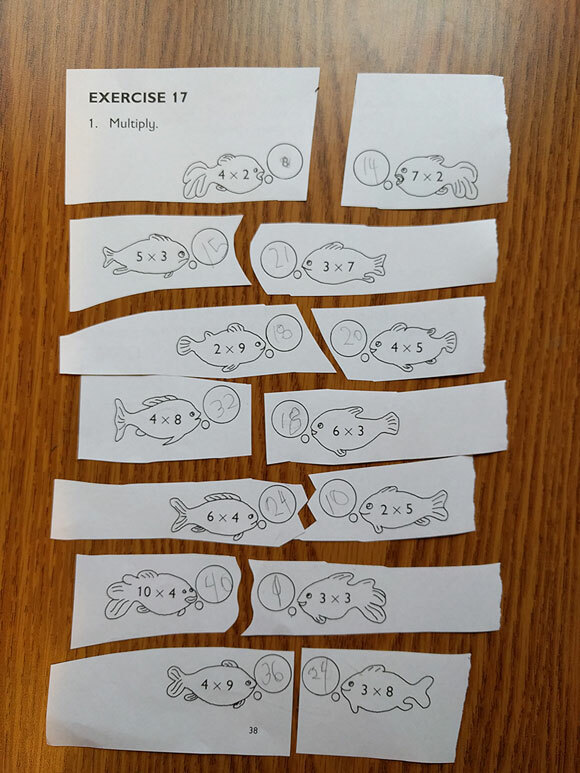 I do Saxon Math with my second grader, but I pick and choose from each lesson. We skip alot of the Math Meeting part because it is so boring for her. I choose 2 things from the Math meeting on a rotation (so she still gets pattern review, skip counting, and counting money, but doesn’t have to do it every day). I do the new concept part of the lesson with her–I’ve been very surprised how hands on the activities are. And I have her do only 1 of the 2 worksheets. If there is flashcard practice, we say the math facts while bouncing a ball back and forth instead of using the cards. When a written assessment comes up, I take an extra day for just the test. 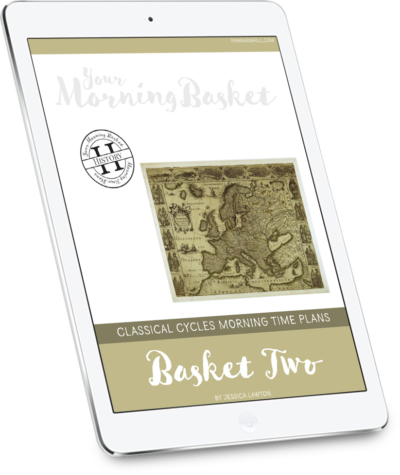 This keeps our lesson to about 20 minutes-perfect for Charlotte Mason, yet it is the good Saxon method. I don’t feel bad about not making the daily temperature bar graph because we keep Charlotte Mason Nature Journals. Great tips, Rebecca! A consistent, focused 20 minutes of math is perfect for a second grader. It sounds like you’re doing a great job of making sure the curriculum is your servant and not your master. 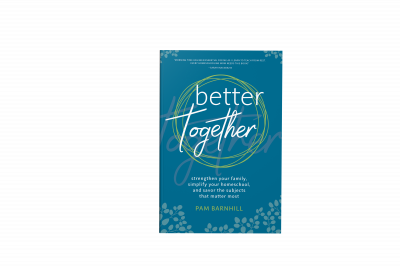 After all, no matter how good a curriculum is, it’s been written to try to meet the needs of as many children as possible–but not necessarily the one real child in front of us. So many good questions here, Evita! I’ll actually be writing a whole post on switching curricula before too long, but let me try to give you a couple quick answers for now. As far as time goes, I’m a big fan of focused, short lessons. I generally recommend 15-20 minutes per day for 1st graders, and then increasing by 5 minutes or so per grade level in the elementary years, so that a 5th grader is working for 35-45 minutes on math each day. But, this only works if the child is actively engaged, learning, and thinking for the entire time. It doesn’t count time spent sharpening pencils, looking out the window, etc. And, it also depends a lot on the child. Some children just need more time to think things through and process information, and so they may need longer no matter how well they pay attention. You’ll probably find it easier to switch curriculum at the beginning of new school year. But if you ever get to the point that you just can’t bear your current program, it might be worth your sanity to just go for it now. Either way can work fine. Thx for the ideas ,Rebecca! Those are helpful for sure. And Katie, I’m glad to know I have at least one other Saxon sista out there. I often feel like crying myself many days! The happiest part of my day is when Math is finally done…sad, but true. Oh these are fantastic ideas! I remember hating math as a child and having such a hard time focusing on it. However, I do recall loving timed worksheets, to beat the clock, so that one is definitely tried and true. I also love the idea of cutting worksheets into individual problems. What a great idea to make it less overwhelming!! Thank you for giving me ideas of how to tfeach Math better. I can’t wait to try them. Any ideas for higher grades like Primary 4 to 6?